There are many reasons to take a boat cruise before dusk. Below we discuss what types of cruises are available, describe each cruise to help you decide which is best for you, and list some of the better boats on the island. Offering trips from both Lahaina Harbor as well as Ma'alaea Harbor, Trilogy catamarans are family owned and operated offering Pacific Rim appetizers, excellent cocktails, and a fun crew. They're an eco-friendly business and have great prices. Leaving from Ma'alaea Harbor, delicious food is prepared hot off the grill, and a full bar with experienced bartenders are able to make you almost any cocktail. 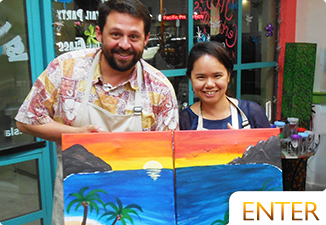 Enjoy live music performed by Mitch Kepa while the sun goes down over the ocean. Conveniently departing from the beach in front of the Makena Beach & Golf Resort, the Kai Kanani is one of the most beautiful sailing catamarans in Hawaii. Their food is always delicious, cocktails tasty, and crew superb. They limit the amount of passengers so you're sure to have a roomy sunset trip. 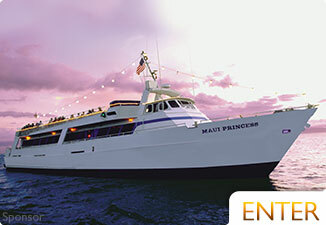 Departing 5 times weekly from Maalaea Harbor, Quicksilver's Dinner Cruise offers live music entertainment, cocktails, and a delicious dinner of prime rib or fresh fish. Watch a stunning Maui sunset from inside the main cabin or outdoor deck, and relax with service from their friendly staff members. 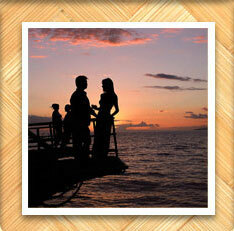 Enjoy dinner and dancing on Maui's largest and most stable catamaran at 120 feet. Prime rib, roasted chicken, mac nut encrusted mahi mahi, and many sides await you. For those of you staying on the west side, Lahaina Harbor is the most convenient location to leave from. Most sunset cruises are cocktail cruises. 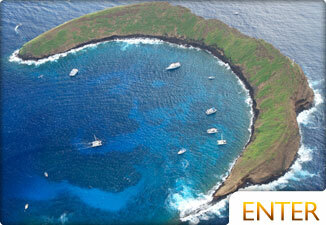 You'll find these are similar to the Maui sunset dinner cruises, but often on smaller boats. They usually offer pupus and a bar of tropical cocktails like mai tais and pina coladas as well as beer and wine. 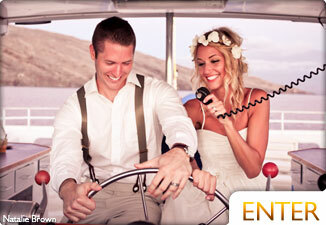 These boat trips are wonderful for couples as well as families with kids. The sailing cruises are fun too. You'll usually find wind in the afternoon on Maui. This is great for sailing and the warm breezes feel great after a couple drinks. 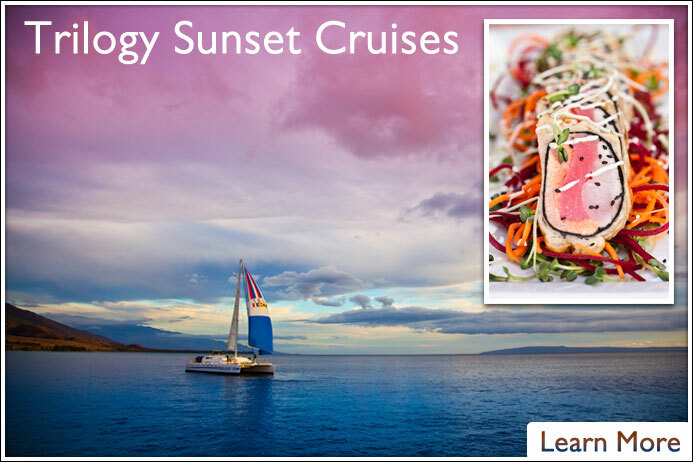 Sunset and Maui cocktail cruises are usually cheaper than the dinner cruise because of the food cost and the smaller boats. But the difference in price is really insignificant. This is the best kind of cruise you can take for sunset. 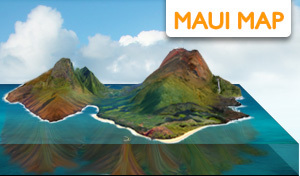 Most Maui cruises offer the dinner package for only around 10 dollars more than the others, and it's worth every penny. With most dinner cruises, you'll be treated to the island sounds of a live musician. You'll find a bar with tropical drinks, beer and wine as well as a delicious buffet. You can't get a closer oceanfront table for dinner than being on a dinner cruise in Maui, Hawaii. 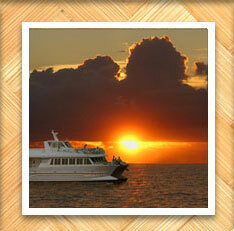 The best part of one of these boat trips is the incredible Maui sunset you'll be enjoying. Sunsets over Maui's Pacific waters are breathtaking. Another wonderful bonus comes during the winter months. 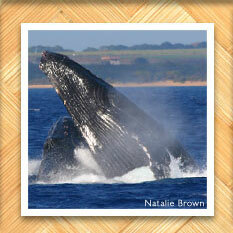 Humpback whales can be found breaching and slapping all along the South and West coast of Maui. 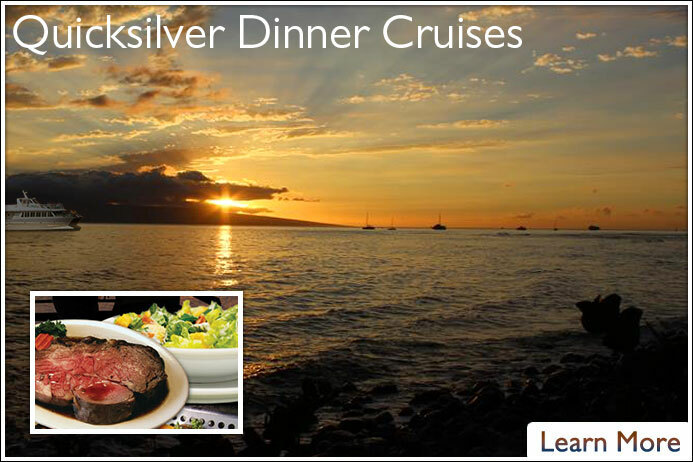 The Quicksilver is often referred to as the best Dinner Cruise available. This power catamaran leaves out of Maalaea Harbor which is central to most of Maui. The catamaran provides stability and plenty of room for a comfortable ride. Book now for the best Dinner Cruise. Whale season lasts from approximately December 15th to May 18th every year. These massive humpbacks travel down the globe from Alaska to give birth and to mate with other whales. Some believe that if it weren't for the lack of food for them, the whales would live around Maui year round. Watching them interact on the surface is an unforgettable experience and much easier than you'd think. Every boat out for a joy cruise will be looking for whales, though the must stay at a safe distance. If the whales come with in 100 yards of your boat, the engine must be stopped in order to keep from harming the humpbacks. The chances of having whales right up to the boat or even underneath it are very good. This makes for an exciting Maui whale watch. Some of the rafting excursions are great for this because you'll be lower to the water and right next to them. Some boats have glass bottoms, and others also have microphones that can pick up the sounds of these massive leviathans as they sing. The best priced boat trip to go whale watching is on the Frogman II. 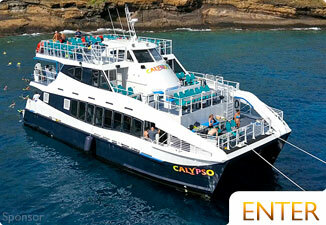 This Maui catamaran is captained by knowledgeable whale experts of whom will guarantee you see whales. To book the best priced catamaran to go whale watching, book the Frogman II. 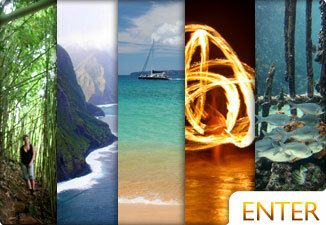 Snorkeling, Sailing, Surfing, and much more. Biking, Ziplining, Hiking and much more. 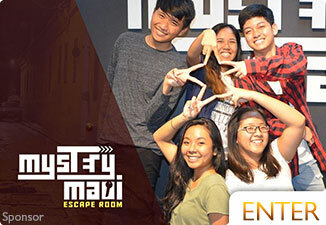 Review our list of great activities for your kids. 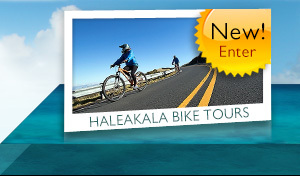 We've put together the ultimate list of top ten Maui activities.